Unusual pets that you can have at the office to help reduce your stress. Prayer Construction Manual – Co-authored with Pastor Rick Kasel, a pastor at one of the faster-growing churches in America, Shepherd of the Hills, Porter Ranch, California. What causes you to pray? Why do you pray, or not? Nathan Ybanez and Erik Jensen were sentenced to life in prison without parole when they were both 16 and 17 years old. They have been behind bars for 13 years. Nathan was sexually, physically and mentally abused by both his parents from a very young age. Nathan killed his mother. Erik tried to help his friend, Nathan, to get through his abusive life. Erik helped clean up the crime scene. Kids convicted of similar or worse crimes before and after Nathan’s and Erik’s conviction did not get life in prison without parole. The Columbine school rampage happened 10 miles away from Erik and Nathans trial sites and 4 months before Erik’s trial, making adult jurors hungry to convict any kid suspected of committing a crime. It was exclusively, without judicial review, up to the district attorney if Erik and Nathan were tried as adults or juveniles under what is called “direct file.” If Nathan and Erik were tried as juveniles they would have been give a sentence of a few years of rehabilitation. Only a couple of other countries, and the US, sentence juveniles to life in prison without parole. It can happen to anyone. Once a person is arrested it is almost impossible to get out of legal system. The legal appeals system is structured to support convictions, not justice. Only 4% of convictions are successfully appealed. When adults kill children they always get less punishment than when kids kill parents. D.A. can make wicked deals. The D.A. in Erik’s case made a deal with a third juvenile that helped Erik and Nathan clean up the crime scene to “get the goods on Erik.” Time are changing and there is hope for Nathan and Erik. Just this year the Supreme Court ruled that it was unconstitutional to sentence juveniles to life in prison. Business with a Purpose is the book for you if you want to start and succeed in your own business, especially during stormy economic times. It gives you the tools to start, manage, grow and protect your new business. 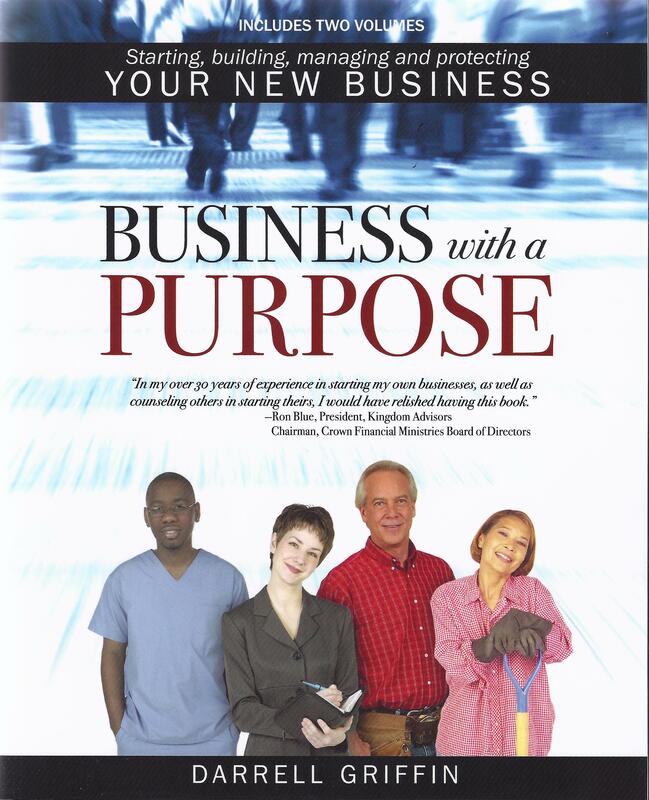 Business with a Purpose is actually two volumes in one. 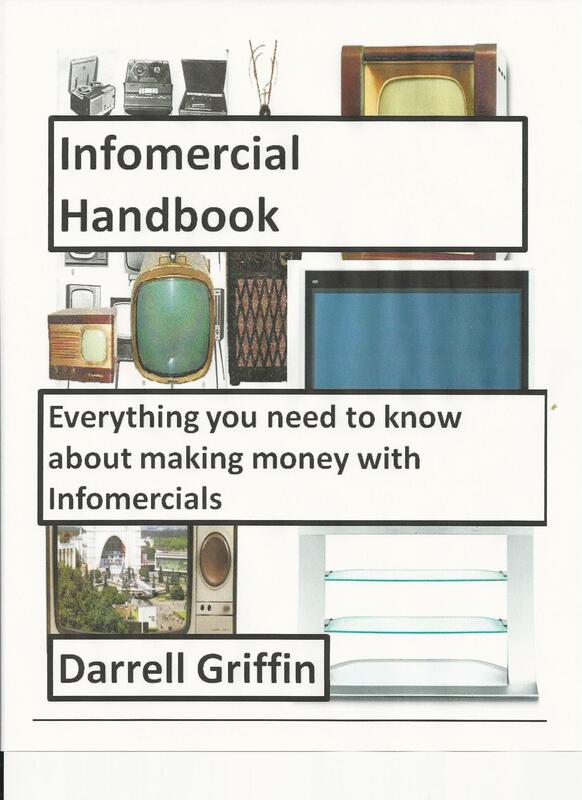 Volume 1 is Starting and Operating Your New Business. Volume 2 is Building Your New Business and Keeping Track of It. Business with a Purpose goes beyond the typical how-to guide or God wants you to be in business and be successful theme. It helps you, as an aspiring entrepreneur, to do a self evaluation and then helps you hone your creativity and shows you how to use it strategically in business. The overall theme of Business with a Purpose is to build on the three T’s (time, talent and treasures) that God gave you through creativity, good management, and minimizing risk. There are a number of guerilla business building techniques explored that will add to your business building and management tool box. You have to get out of the boat before you can walk on water. God will be there to help you when the economic seas are calm and when they are stormy. The simple fact is you can’t be successful in business if you don’t start one. Faith in God is a tremendous advantage in business. If you believe in God your faith will enhance your creativity and creativity is the primary advantage that new and small businesses have over big business. This same faith will serve as your foundation for moving into the unfamiliar waters of entrepreneurship and succeeding. If you have the desire to start your business and you have God as your partner then all you need is the proper business tool box to start your business. Business with a Purpose is that tool box. Many people want to start a business but don’t know where to start and they feel the odds are against them. There is also a widely held perception that it is almost impossible to be a good Christian and a successful businessperson. This could not be further from the truth. There are many examples of good Christian businessmen in the Bible, and there are many examples of contemporary businessmen that are Christians. The Bible is also very rich with principles and insights on how to build and conduct a successful God centered business. 5) Do You Really Want to be an Entrepreneur? 6) What Business Do You want to Start? 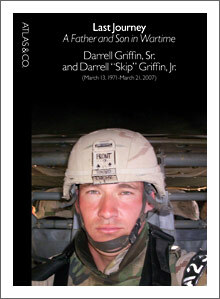 Staff Sargeant Darrell “Skip” Griffin, Jr. was killed in action on March 21, 2007, during his second tour of duty in Iraq. He was awarded the Purple Heart and the Bronze Star with Valor for dragging an injured comrade to safety through heavy enemy gunfire. At the time of his death, he and his father, Darrell Sr. were working on Last Journey that was an attempt to describe and make sense of the destruction he had seen in Iraq. They were going to complete it when Skip returned home a few months later. 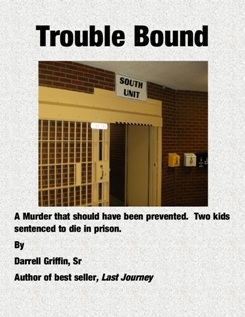 In face of Skip’s death, Darrell, Sr. vowed to finish the book himself. He was given permission by General Petraeus to travel to Iraq and embed with Skip’s combat unit, witnessing the war close up. Driven by a conviction that Americans don’t know enough about the war they have been fighting for the past six years, Last Journey is a firsthand account of what everyday life is like for combat soldiers in Iraq; it’s also an intimate portrait of a last son, a meditation on faith, and finally, a tribute to the lively philosophical debates the Griffins used to share. Included is e-mail correspondence with Skip during the weeks before he died, as well as original photographs from the front lines. Last Journey serves as a tragic reminders of the human cost of war. Last Journey received incredible reviews from New York Times, Publishers Weekly, Sacramento Bee, CNN, Fox News and many other media outlets. It was selected as one of the ten best non-fiction books by the editors of Barnes and Noble. ISBN: 978-1-61061-206-7 Published by Easy Brain Labs, Inc.
What Makes These Times Most Attractive? The premise of “God Think” is that we believe in a God we can not see or touch based on faith. Hebrews 11:1 says ” Now faith is being sure2 of what we hope for, being convinced of what we do not see.” Faith is the kernel of creative thinking, creative thinking is the foundation of success. Based on the theory that people who believe in God (how ever you define God) are better creative thinkers that non-believers. God Think (GT) is written from a Christian perspective since I am a Christian. But most faiths believe in God. So God Think is about believing in God, not in a particular faith. W – Write down your goal, problem, issue, etc.